Those around me know that I am a huge lover of music. I think God compensated me for my terrible voice with a massive love for music, an understanding of the music business and blah blah blah. That’s not the focus of this article. Let’s get to the kponmo. I love all genres of music. Hip hop, soul, rhythm and blues, metal, country, funk.. But, I loose all my home training when Fuji comes up. Ahswear, I don’t know how this happened, I’ve just come to realize that this genre of music does things to me I can’t explain. Forget the glasses and too much English, Fuji brings out the street in me. Don’t come and start telling me that I’m not a Yoruba boy. Me that I’m Yoruba by dating. I’ve always only dated Yoruba babes! Are you a Fuji lover, come here let’s do an intellectual discourse on this beauty called music. I don’t even understand Yoruba well, but, you just need to see me rocking to the beats. The other day, Orijin did an event at ICM. They brought Reminisce and Adewale Ayuba. Normal young people went to see Reminisce, me, I went for Adewale Ayuba. Gosh, that man’s voice is amazing, and ybe way he dances ehn. The only other voice that does it for me again like that is Kwam1. Baba will always be a baba. If you don’t listen to Fuji, you’re missing. You need to listen to the wisdom Osupa spits out in his songs. Or go and hear Oganla1, Pasuma Wonder. Obesere does too much lewd, so, I normally stay away. I was introduced to Shina Peters by my boss. He will be jamming it in the car. I love his fast-paced style. I saw him perform first time at AFRIMA last year. This guy stole my heart. What about Mega 99? I met this band at one event at Eko FM Blue Roof some years back. Right now, one song that’s on repeat on my phone is ‘Omo Better’ by Destiny Boi. This smally boy is talented abeg. 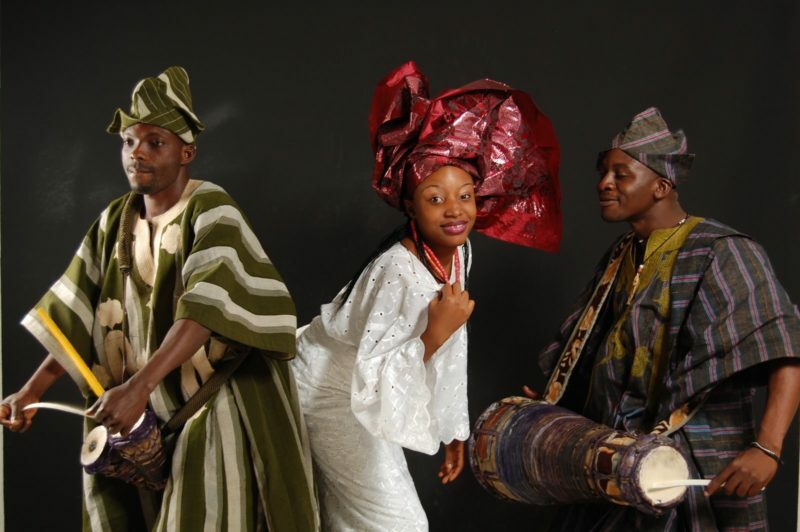 Omo, no wonder Yoruba people like to groove. The combo of better Fuji plus amala and ewedu will make you forget you’re a BSc holder.